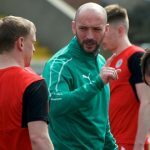 Two players made their Cliftonville debuts in Saturday’s Danske Bank Premiership defeat of Newry City – and you can lay claim to the matchworn shirts of Niall Grace and Aaron Harkin. 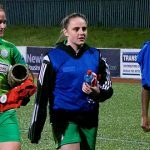 The duo joined Joe Gorman on the Reds’ January arrivals list and, following kitman Brian Campbell’s recent confirmation of squad numbers being allocated to youngsters Ruadhán McKenna and Odhrán Casey, extend the number of Shirt Sponsorship opportunities by 10. 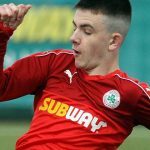 With all jerseys offered on a first come, first served basis, fans can get their hands on a specific top for £85, or claim two (one home and one away) for the special rate of £150, with all sponsors listed both here on cliftonvillefc.net and in our Matchday Magazine, The Red Eye, throughout the season in recognition and appreciation of your valuable support. 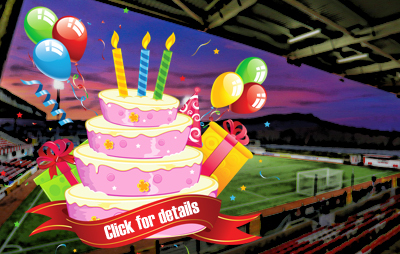 Perhaps you’re seeking gift inspiration for a friend or family member whose birthday is coming up or maybe you’d like a treasured keepsake to add to your own personal collection, Shirt Sponsorship can be secured at The Reds Shop on Thursday evening (7.30-8.30pm), by emailing shirtsponsorship@cliftonvillefc.net or by speaking to shop staff at Saturday’s home friendly with Longford Town, however supporters are advised that specific jerseys can only be secured upon full payment. So whether you’re an individual fan, someone buying a unique memento for a Cliftonville-mad loved one in your life, or a business keen to show your support for the Reds, we would be delighted to sign you up for the scheme, so please don’t hesitate to get in touch.